SOLACE NI aims to lead and manage the collective role of local government in transforming the lives of citizens. 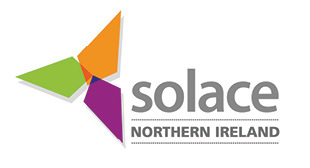 SOLACE NI is the Society of Local Authority Chief Executives and it acts as the professional voice for local government, whilst the Northern Ireland Local Government Association (NILGA) is the elected member voice. Both organisations work together to present a strong voice for the local government sector in Northern Ireland. Each Chief Executive takes it in turn to Chair the Society for a year. 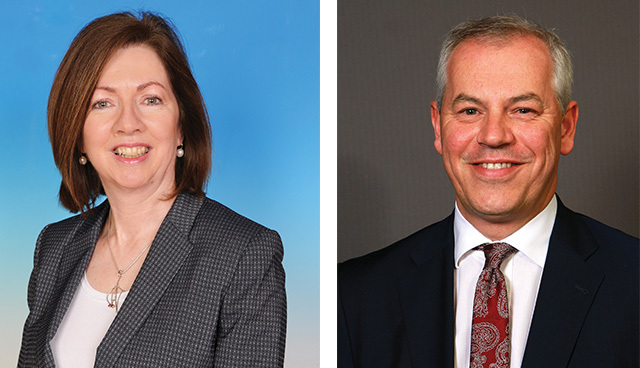 In June 2018, Dr Theresa Donaldson, Chief Executive of Lisburn Castlereagh City Council, will come to the end of her tenure as Chair of SOLACE NI and will hand over to John Kelpie, Chief Executive of Derry City and Strabane District Council. The Chair is supported by the 10 local government Chief Executives, including a Vice Chair, and by other SOLACE branches throughout the UK. SOLACE NI meets on a monthly basis and considers current issues that impact on local government as well as issues that have implications on a cross-council basis. Acknowledging both the challenges and opportunities presented through the recent review of public administration and the transformation of local government, Theresa Donaldson and John Kelpie continue to pay tribute to the extraordinary challenges which colleagues have dealt with in shaping their council organisations, leading staff, managing the introduction of new functions and the transfer of other powers, as well as working closely with elected members to deliver their priorities and outcomes for local people. The two Chief Executives believe that Northern Ireland is well served by the 11 strong and successful councils and that the reform of local government has begun to deliver worthwhile benefits to all those who live, work and visit Northern Ireland. Community planning: With community planning across Northern Ireland now established, Council Community Plans are beginning to identify new and important areas that can benefit from a collective, partnership led approach. SOLACE NI has been active in ensuring that the messages identified as part of each council’s consultations with the public and with their statutory partners, are considered and put to use locally, as well as being effectively communicated to central government as some of the key issues for consideration in the developing the draft Programme for Government. Planning: The transfer of planning powers to local government has been taken forward effectively and, through regular engagement with departmental officials, SOLACE NI has quickly been recognised as a vital voice in the ongoing delivery and development of this service. Performance management: The legislative requirement, introduced in 2015/16, that requires councils to embed performance improvement and continuous improvement into working practices across the local government sector is another area where SOLACE NI has been active in ensuring a joint approach is taken forward. This is a standing item for discussion by Chief Executives at their monthly meetings, to help ensure a common approach is maintained and that issues are considered collectively. Partnership panel: The political partnership panel that was established as part of the NI Local Government Act 2014 was deemed not to be fully delivering the level of engagement which it had been established to do. SOLACE NI has played an increasingly active role in the redevelopment of the partnership panel work plan, in order to ensure important issues are discussed at the highest levels with all key stakeholders. Economic development: SOLACE NI has embraced the transfer of economic functions from regional government. For example, councils are working together to deliver a Northern Ireland wide programme for entrepreneurship and new business start-ups. Local development is a shared strategic objective for all 11 councils and there are many opportunities for collaboration that will positively impact their agreed aims and goals. Working toward set annual job promotion targets is beginning to show the benefits of transferring responsibility for this important area from central government and presents an exciting opportunity for councils to demonstrate to citizens and to businesses a real and tangible return on the rates that they pay, especially in terms of actual job creation and increasing levels of self-employment. 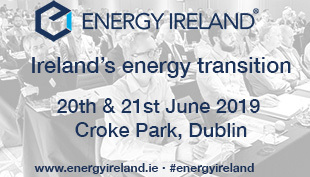 The programme can be applied across Northern Ireland with up to 80 per cent of the costs covered from ERDF and Invest NI, signposting opportunities for significant efficiencies and showing benefits from the collective effort to generate the necessary level of jobs required by the funders. SOLACE NI is continuing to take this forward to ensure the delivery of the collaborative approach is maximised. Waste management: In partnership with the Department of Agriculture, Environment and Rural Affairs and NILGA, SOLACE NI is leading the development of a Joint Waste Management Action Plan which aims to minimise municipal waste, increase recycling rates, provide an efficient and effective service to citizens and help to support and develop the circular economy. 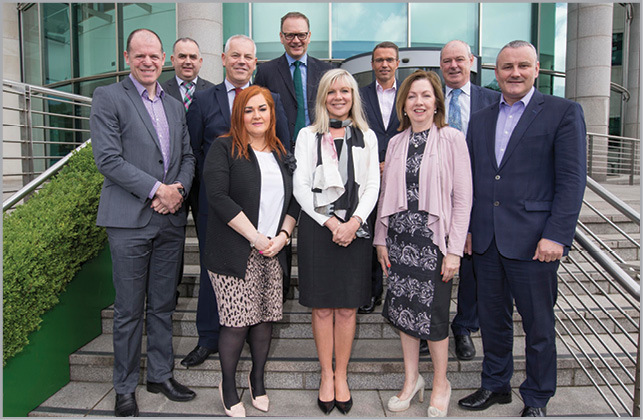 Moving forward: SOLACE NI will continue to press forward, transforming the local government sector by leading with vision, developing the capacity of staff in the sector and continuing to develop and deliver first class services to all citizens. By doing so, SOLACE NI will demonstrate that local government is positioning itself to meet the current and emerging needs of citizens for the betterment of Northern Ireland. Keen to engage: Solace is keen to engage with interested parties, not only within the wider public sector, but beyond, in order to build relationships across the private sector and the community/voluntary sector. Chair: John Kelpie (from June 2018). Hon. Secretary: Roger Wilson (Hon.